This home is located on .45 acre with beautiful views of mountains and the spacious country neighborhood. 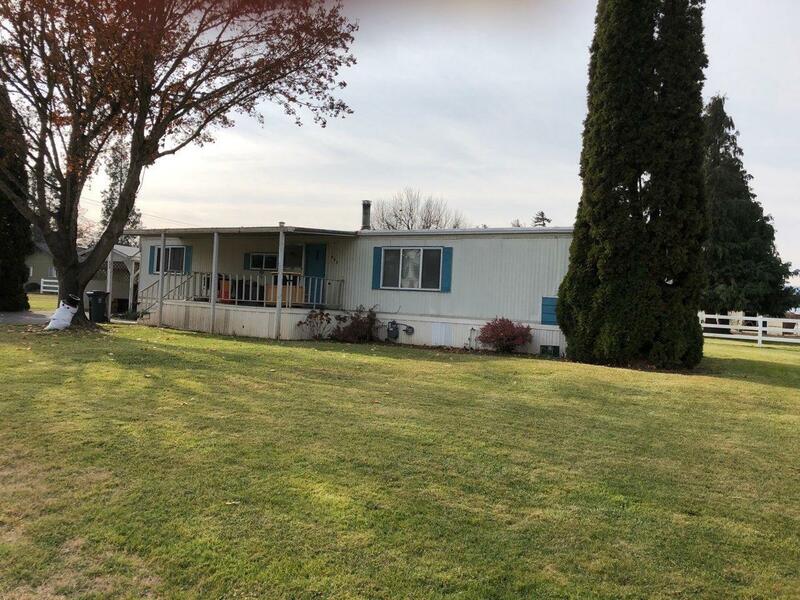 This 2 bedroom 2 bath 840 Sq ft manufactured home was built in 1973. Partially fenced with a grassy irrigated lawn and mature shade trees. This home is located near shopping and the All Sports Park with great walking/biking paths. Tenant occupied and can be seen by appointment only with 24-hour notice.